I spray it all over my face and use a cotton round to wipe off excess. Or I put it on a cotton round and wipe all over face. It leaves my face feeling so refreshing. And keeps me from having any breakouts. Completely not worth it for the price. It doesn't work well and is super expensive. It burns really badly on my sensitive skin and made my face and neck red until applied ice to cool it down. Never used it a gain but my sister did and finished the bottle and neither of us saw a difference in the before and after pictures. Not worth it. The tea tree toner from LUSH contains juniper berry and grapefruit in addition to tea tree oil and this blend sops up excess oil in the skin and acts as an antibacterial agent against outbreaks. Toner can be used to cleanse the face of excess oil and makeup and as a supplement for facial soap. 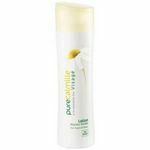 I like to use it as a mid-day refresher for my skin whenever I've been in a particularly dry or humid environment because the toner both refreshes and cleanses. I used to have issues with slight redness in my cheeks, but when I began using tea tree on a regular basis after cleaning my face, the redness problem was greatly reduced. Additionally, the toner can be used as an element in aromatherapy because the smell is very pleasant an and a spritz or two combined with a favorite essential oil can give your brain the bit of pep that it needs to get through the day. Overall this is a great toner for anyone with combination or oily skin. after cleansing, its important to have a good toner to compliment the cleanser and ensure you are taking full advantage of caring for your skin. 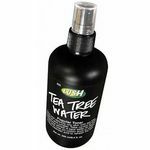 this tea tree water toner by lush is an all natural and refreshing spray toner. it actually removed blemishes and obviously evened skin tone. it prevents blemishes from appearing and removes oil. after discovering this i can't go back to any other toner. would recommend and am recommending this to anyone - those with combination skin, oily skin, normal etc. Good for troubled skin, not so good for sensitive skin. Like the rest of Lush's lineup of skincare products, Tea Tree Water is a product that works wonders for some and does nothing for others. Tea Tree Water is a toner that comes packaged in a spray bottle. It can be applied to the face with a cotton ball like a traditional toner or astringent, or it can be spritzed directly onto the skin. It does not need to be wiped or rinsed off afterward, and it is often used under a moisturizer. It has a fresh smell that is rather herbal/medicinal and somewhat sharp (that's just the nature of tea tree oil), but the scent fades quickly. Tea Tree Water was the first Lush toner I tried, and unfortunately, it was the product that taught me that my skin doesn't like an all-over application of tea tree oil products -- it irritates the drier skin on my cheeks, turning them red and splotchy. However, if you have troublesome, breakout-prone skin that reacts well to tea tree oil, your experience with it may be different. As with most Lush skincare options, the best thing to do is obtain a sample or a small size from a Lush store and see how your skin does with it. Personally, I've had much more luck with Eau Roma Water, which contains rosewater and other skin-soothing ingredients, but I would recommend Tea Tree Water for people whose skin doesn't require such a soft touch. I have a love-hate relationship with LUSH that is perfectly exemplified in my experience with the LUSH Tea Tree Water. First, let me introduce you to my skin: ninety percent of the time it's sensitive and dry, but still somehow manages to break out. Red, inflamed, irritated skin is not a good look on anyone, so being a bit of a granola-crunching, nature-trusting kind of girl I turn to the wonderfully pure products of LUSH and the Tea Tree Water sounded like the answer to my prayers. A non-irritating way to clean skin's impurities and detox stressed skin desperately in need of balance? Yes, please, send it my way! However, the product was a huge letdown. not only was it incredibly expensive, but it didn't actually do anything. I'm more than willing to pay for quality products, but momma didn't raise no fool. Contrary to many other reactions I've heard, I actually kind of liked the smell (But bear in mind I'm a granola-cruncher who enjoys patchouli and the like). Won't be buying this again. I started using Tea Tree Water about a year ago. I have normal to oily skin, but as I am 30 I rarely break out. I use Lush's Angels on Bare Skin to wash my face then spritz ttw on a cotton pad to wipe off any missed makeup. It leaves my skin feeling so cool and refreshed. I use this almost every morning as well when I wake up. I always have that morning greasy feeling. Tea Tree Water wakes my skin up and leaves my skin feeling nourished but not stripped. I love to take this camping as well to use throughout the day as I am not the most outdoorsy girl and need to feel like I can freshen up my skin when I can't get to a restroom or shower. The smell is very mild. You can faintly smell the tea tree, but it is very faint. I always buy the larger size and it lasts me about 5-6 months depending on the weather and how often I use it. I can not recommend this product enough. If you order from the UK website it will save you money over the US site due to the conversion rate right now. LUSH Tea Tree Water is not worth the price - at all! I stumbled across this product as I was searching for something to help me clear out my pores. This is absolutely not the product I was looking for. The first few times I tried it, it did leave my skin feeling quite a bit tighter, which was fine with me because I figured that meant it was working. After a few weeks of use, however, my skind must have gotten used to it and now does not really react to it at all. It seems like I'm just putting water on my face! Well, smelly water. I do not like how this product smells! The best way I can describe it is that it smells like a clean toilet. It reminds me of when I was pregnant and throwing up all the time. Unpleasant, to say the least. It is also difficult to apply. It comes in a spray bottle, for some reason, but using it as a spray wastes a ton of the product. It is better to apply with cotton balls/pads, although it still seems like you have to use a lot of the product to cover your whole face. I would be able to handle the bad smell and application issues if the stuff worked, but it doesn't. I haven't noticed any difference in my pores or my acne since using this product, and I've been using it religiously for a couple months. 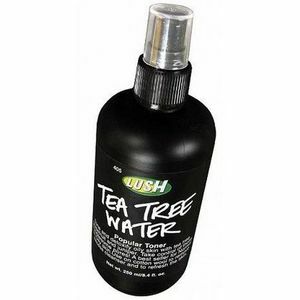 LUSH Tea Tree Water is not worth the price. I definitely will not be buying again.